...welcomes you to enjoy a relaxing and exciting stay. The holiday center is located on the holiday island Rømø and during your stay here, there are plenty of activities to choose among or to enjoy complete relaxation. It is possible to book apartments to fit your individual needs as we can offer apartment houses for 4, 6 and 8 persons. 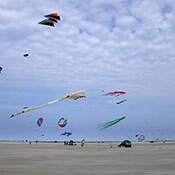 Throw your party at Rim Rømø and experience an exciting stay at Rim Rømø. It is also an option to book a number of apartment houses as well as our meeting house, in case you want to arrange a state-of-the-art birthday party or any other celebration involving many guests overnight. Our holiday apartments are owned by private individuals, and so you may find varying interior decorations and furnishings in the apartments which give the apartments an individual and charming look. Apart from a few facilities, which are charged separately, many other optional facilities are at your disposal free of charge. Bring your gadgets to Rim Rømø. During summer 2013 Rim Rømø had fiber installed to replace the old installation. 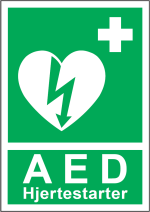 This installation can service a large number of units on the network compared to the old installation, and its free of charge during your stay at Rim Rømø. View TV-channel overview and other exciting activities you can do at your stay. The holiday center has a large center with 2 large swimming pools and 1 outdoor pool. 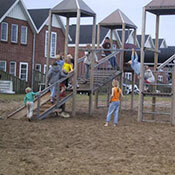 In addition, we offer minigolf, fitness, jump playgrounds and free wifi for all our visitors. Experience one of the largest beaches in Denmark, where there is ample opportunity to take a dip in the North Sea or play with the wind in the form of dragons or kitebuggies. 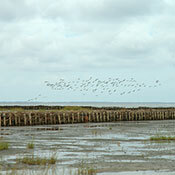 Rømø is part of the Wadden Sea National Park and is therefore protected. The wildlife around & at Rømø can offer many wonderful walks and experiences.